Gill has already been on my blog as part of the Welsh Wednesdays Interview series. For those who missed it, here is the link. Jean, please remind us and tell us a little about yourself as writer and as person. I’m a Welsh writer and photographer now living in Provence with a big white dog, a scruffy black one, a Nikon D750 and a man. Before 2003 I taught English in Wales and, at one stage, I was English Adviser for the 81 schools of Neath Port Talbot, a county without a single bookshop. 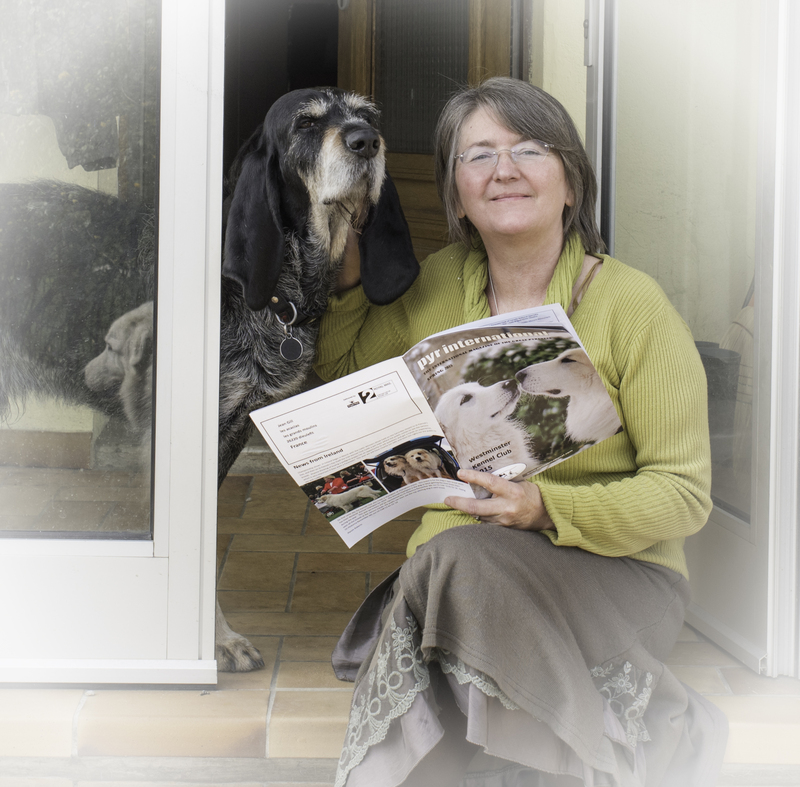 I’ve now written eighteen books in a wide variety of genres, from WW2 military history, through poetry and novels to a cookbook and dog-training translations (from French). 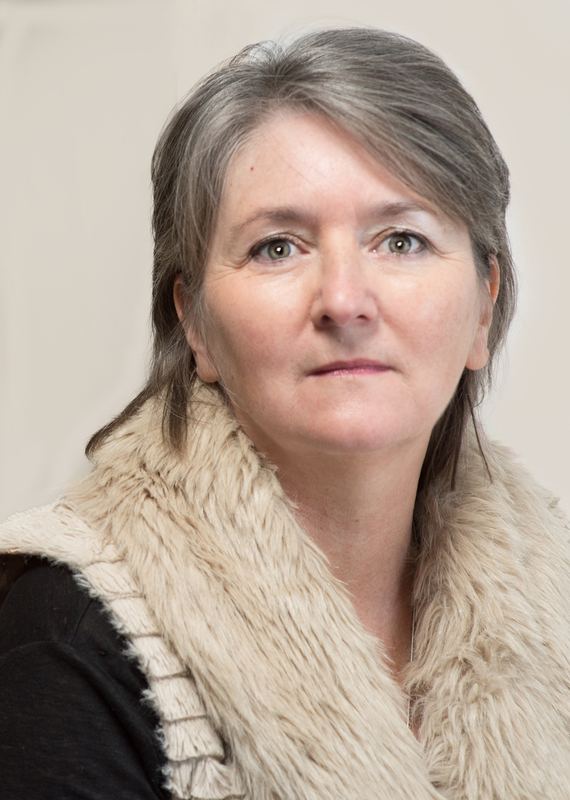 My first book was traditionally published in 1988 but most of my books are now independently published; I am the publisher but I employ a professional editor (ex-Editor of Macmillan Africa) and a cover designer (Jessica Bell). I’m mother or stepmother to five children so life was hectic. In addition to my Welsh background, I have an English birthplace, Scottish parents and French residence so I can support the winning team on most sporting occasions. ‘That one,’ was the story of a 12th century troubadour and her giant white dog. So began ‘Song at Dawn’ and the Troubadours Quartet. The idea itself was sparked by a non-fiction book on troubadour poetry. The editor noted in the preface, ‘Rumour says that there was a female troubadour touring the south of France with a big white dog.’ Living in Provence, a writer with a big white dog, how could I not write that story? Especially in the south of France (Occitania) the 12th century renaissance was rich in discovery, in opportunities and – surprisingly – in the roles played by women. They were rulers, doctors, tradespeople – and troubadours. Before writing, I was researching four hundred years, the ‘medieval period’, when I discovered Ermengarde, the Viscomtesse and hereditary ruler of Narbonne. I knew straightaway that Estela (my fictional troubadour) performed in Ermengarde’s court, which focused me on the 12th century. Dragonetz, the troubadour and disillusioned ex-crusading knight, was the other half of my story so that drew me to 1150, just after the Second Crusade. My books have a very narrow historical focus, 1150-1152 in three books (so far) and it takes me a year to do the research before I have enough grasp of the history to let my story play out against the real events. Good question! Each of the books in The Troubadours Quartet has a ‘chanson clef’ which is interwoven with the themes of the story and has a different meaning at different moments in the story. ‘Song at Dawn’ plays on the aubade, a traditional troubadour subject, the dawn-song of parting lovers. Jaufre Rudel’s ‘Amor de Lonh’ https://www.youtube.com/watch?v=NWn4sfWsSo4 features in ‘Bladesong’ and Hildegard von Bingen’s ‘O Ignee Spiritus’ echoes throughout ‘Plaint for Provence’. I wrote a very long, tedious novel of ten chapters called ‘Jill’s Stables’ when I was eleven. My teacher allowed me to work on my novel if I finished the classwork before the others did. I’ve always written stories but was daunted by my university degree and took a few years to recover from the idea that only dead men wrote anything worth reading. I love being immersed in my story. It’s a bit like reading a book you love and spending a year in that book, instead of gulping it down in a week, as readers do. I love hearing that a reader enjoyed my book – that brings the book alive for me again. I hated rejection slips from publishers who didn’t even read my work. Indie publishing has ended that pain. The worst now is getting caught up in my own silly deadlines with too many projects on the go; foreign language versions, audiobooks, new editions… oh and formatting. I hate formatting. I also hate checking the edits. I’m a photographer. I earn an income from my photographs and am keen to develop further (pun intended). I have a portfolio of 3,500+ photos at http://www.istock.com/jeangill and with Getty Images. I’m also a registered beekeeper, with one occupied hive called ‘Resolution’ and a colony on order to fill ‘Diligence.’ I am incredibly proud of taking a practical course (in French!) over the last two years (I repeated a year and understood more the second time around). I can’t take any criticism of work in progress but once it’s finished I need the input from a small group of trusted writers, my critical friends, to improve what I’ve written. At that stage I can take any amount of criticism and sift through it to decide what changes I should make, if any. I’m researching 1153 for Book IV of The Troubadours Quartet and am feeling the pressure! 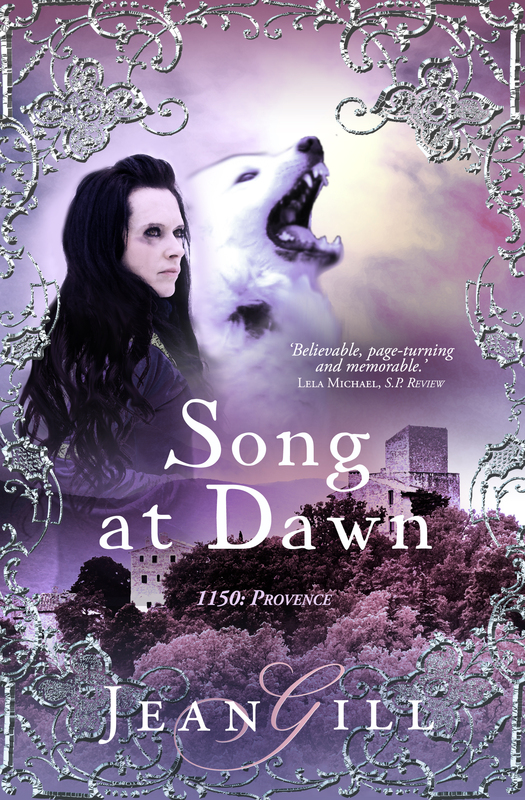 ‘Song at Dawn’ is free so readers can visit the 12th century and see if they enjoy the experience. If you review one of my books, you can send me a photo and brief description of a dog to add to my Readers’ Dogs Hall of Fame. http://jeangill.com/dogs/ I would love to feature one of your dogs there, Cristoph, so feel free to send me details. I offer ‘One Sixth of a Gill’ free to readers who sign up for my newsletter http://eepurl.com/AGvy5. It was a finalist in The Wishing Shelf Awards and is a book of shorts, so is a good taster for anybody who wants to sample my writing. Thank you for making me sound interesting, Christoph! You did that all by yourself. Such a pleasure to have you. Driving through Neath will never be the same again after hearing about the lack of bookshops. Have a great weekend! Not by myself, no 🙂 I was working with all the teachers and all the schools. And there is a W.H.Smith in Neath – but no bookshop. I also worked with the County Librarian, who was wonderful, as was the Schools Library Service, so books did get into the valleys – but it wasn’t easy! Fascinating interview and the book is intriguing. I love the time period blended with a female protagonist who sounds quite unique and independent. Good luck to you, Jean. I hope the book does well.